JERRY'S BEST BETS : Can the 2018 Juddmonte International Serve Up Another Classic? Can the 2018 Juddmonte International Serve Up Another Classic? The British racing calendar is full of top-class events that manage to keep sports fans enthralled throughout the summer months and they each provide unrivalled drama and excitement for racegoers up and down the country. August's Juddmonte International Stakes is just one of the many highlights to grace the turf and the 2018 renewal looks set to provide another fascinating battle between some of flat racing's middle-distance specialists. York Racecourse is one of the country's most picturesque racing venues and crowds flock to the Knavesmire each year to enjoy a succession of graded races throughout August. The Juddmonte is one of the standout contests and is competed over one mile, two furlongs and 88 yards. The first staging of the event was in 1972 and the race has continued to make headlines in the subsequent 45 years, with icons such as Sea the Stars and Frankel both displaying their credentials in this contest. The latter triumphed by an unprecedented seven lengths, chalking up his 13th successive victory in the process. Derby winner Australia was the next big name to secure top honours in the race back in 2014 when beating the Grey Gatsby by two lengths. 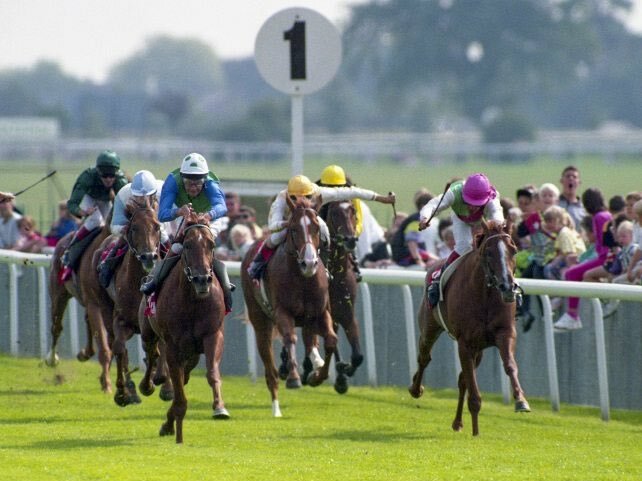 Frankie Dettori has also been hugely successful in the Juddmonte, having entered the winners' enclosure on five different occasions, following in the footsteps of his father, Gianfranco. His last success arrived in 2007 but the Italian could return to the Knavesmire in 2018 as he bids to improve his record in this event. Ulysses was the latest winner of the race with the Sir Michael Stoute runner being guided home by Jim Crowley. It was the trainer's sixth victory in the contest and he will be hoping to add to that total this year. The prize money has increased year on year, with connections of the 2017 winner getting their hands on a share of £567,100. When is the Juddmonte International? The 2018 Juddmonte International takes place on Wednesday, August 22nd and will maintain its status as York's richest race of the season. It provides a fantastic introduction to the Ebor Festival, which is staged over four days. The Group 1 Darley Yorkshire Oaks takes place 24 hours later, whilst the Coolmore Nunthorpe is yet another highly rated contest to take place at the track. The four-day extravaganza concludes with the Sky Bet Ebor on the final day and it is likely to attract record crowds to the venue once again. The 2017 renewal was a hugely competitive affair and as expected, there were plenty of familiar names involved. Barney Roy and Churchill were embroiled in a battle during the final stages of the Juddmonte but it was Ulysses who emerged from the pack under a well-timed ride from in-form jockey Jim Crowley. The 4-1 shot picked up his second Grade 1 success of the season and added its name to the glittering array of high-class superstars who have previously landed the prize. Poets Word has been installed as the early favourite with William Hill for the 2018 renewal and will be fancied by many punters following its relatively recent success at Royal Ascot in the Prince of Wales Stakes. Under the ride of James Doyle, Poets Word edged out Cracksman who struggled to find his rhythm throughout and the latter appears unlikely to turn the tables when they meet again at York. The five-year-old followed that Grade 1 success with yet another victory at the end of July. 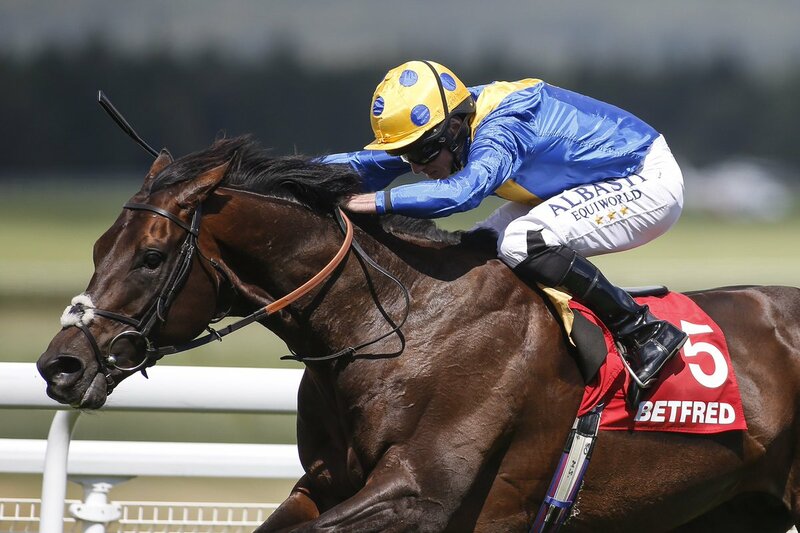 The Sir Michael Stoute hotshot beat stablemate Crystal Ocean by a neck at Ascot in the King. George VI and Queen Elizabeth Stakes, staying on nicely to secure a hat-trick of successes since the start of 2018. The John Gosden-trained Cracksman is sired by Juddmonte hero Frankel and will be determined to bounce back from that disappointment in Berkshire. 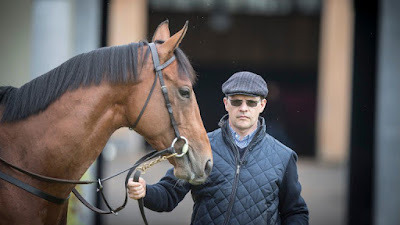 The four-year-old also has entries at Leopardstown and Longchamp later this year but barring an injury, he is almost certain to line up in this year's event. He's won seven of his ten races so far and is undoubtedly a classy performer who is available at an attractive-looking price in the ante-post market. A potentially mouth-watering clash awaits between Saxon Warrior and Enable, with the foes likely to feature heavily in the closing staging of this year's event. The former was originally aimed towards the Sussex Cup at Goodwood but has been diverted to York and the Juddmonte International is likely to be his next assignment. Enable is aiming to preserve an eye-catching unbeaten streak, which includes victories at Chantilly and at the Curragh. The four-year-old is no stranger to the Knavesmire having beaten stablemate Coronet in the Darley Oaks Stakes last year. It was a resounding five-length victory on good-to-soft ground and the John Gosden charge isn't likely to be inconvenienced by the drop in trip. Enable hasn't been defeated since April 2017 when finishing third to Shutter Speed at Newbury and will be hard to topple in this kind of form. Australian wonder-horse Winx is yet to appear in the betting for this year's event but rumours have been circulating that the imperious six-year-old may wish to prove herself over the mile in the UK and renew hostilities with Cracksman and Enable. She is unbeaten in 22 straight races, a run which includes three Cox Plates and racing fans are licking their lips at the prospect of seeing her unleashed at York. Winx is hugely popular in the Southern Hemisphere and has already had a race named after her. It is held at Randwick Racecourse and is a Group 2 contest. She has featured regularly at the track throughout her career as well as appearing at Sunshine Coast and Doomben. The latter held a significant race-day on July 28th with the third race of the day being won by Spurcraft, who was tipped by Oddschecker for success at the Brisbane track. Clapper. Winx's participation in the race hasn't been confirmed yet but she would likely start as a short-priced favourite should connections decide to enter her into the lucrative contest. With the final field yet to be confirmed, it's difficult to make an accurate prediction for this year's Juddmonte but it is likely to produce yet another memorable renewal of the iconic race. 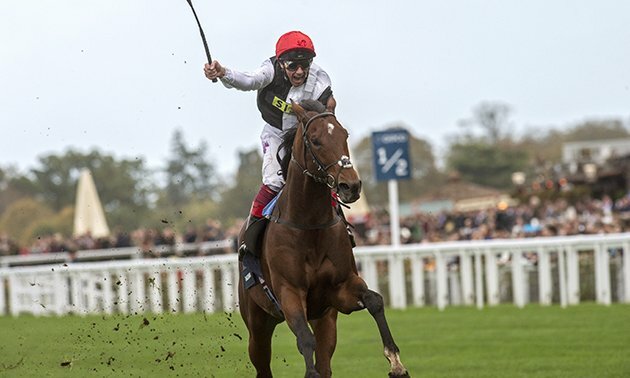 Cracksman has plenty to prove after his recent defeat and will be determined to return to winning ways whilst Enable will not wish to see his unbeaten streak come to an end. Masar, who has slipped under the radar will also provide a stiff test for the race favourites whilst Roaring Lion is also a prominent figure in the ante-post market. The three-year-old has already picked up a victory at the track this season with a convincing triumph in the Dante Stakes under Oisin Murphy. He cleared the field by four lengths and will be keen to make it two from two in Yorkshire. Thunder Snow, Latrobe and Without Parole are all listed in the betting although the latter was defeated in the Sussex Cup and may opt against a trip north. He was unbeaten prior to that Goodwood appearance and is still relatively unexposed. It's set to be a fascinating contest and the ante-post betting market is likely to alter dramatically over the next couple of weeks. Will we see another Juddmonte classic in 2018? The classy field suggests it'll be yet another memorable renewal at York and fans cannot wait to see how it all unfolds.